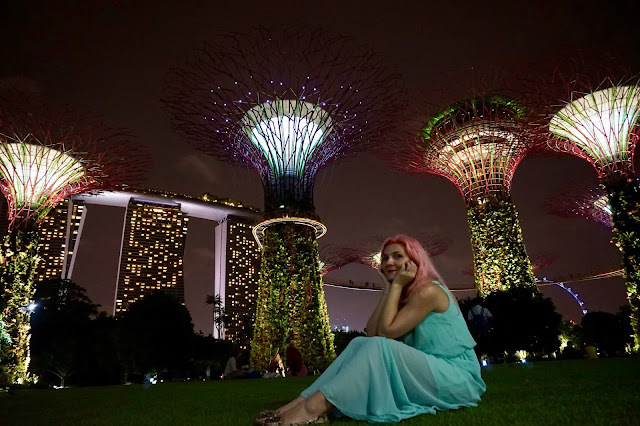 I had no idea how much I wanted to visit Singapore before I got there! I don't think this makes any sense to you, but it sure does to me...so let me elaborate. While planning our trip to the Philippines (articles about El Nido, Palawan - here and Boracay - here) and looking for flights we had two options in terms of layover: Manila or Singapore. After reading about the two, Singapore definitely won the race and we decided to extend our layover into a short trip. Best decision ever! 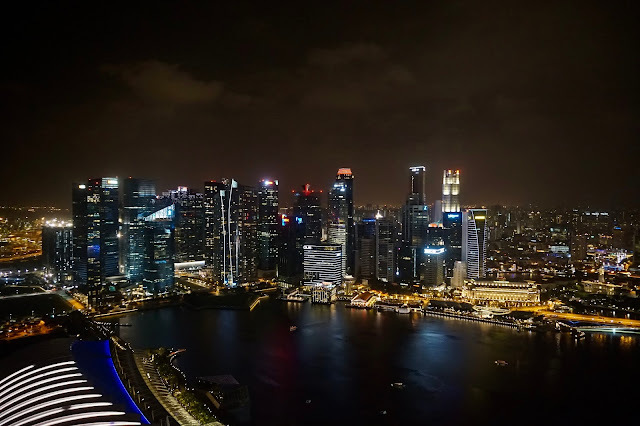 Ok, I have to admit first of all that I can't be very objective here as Singapore was my first trip outside of Europe, so it does have a special place in my heart. The best time to visit Singapore is between February to April when the weather is the most pleasant. The months between November to January are to be avoided as those are know to be the rainiest. 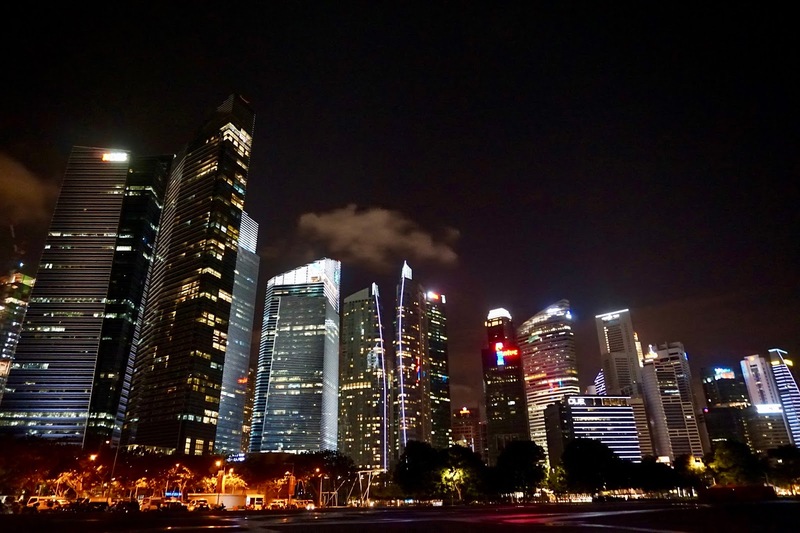 Public transport is very efficient in Singapore and you will be able to get around quickly and easy at a relatively low price. The MRT (Mass Rapid Transit) will get you to all the important sites as it spans the entire city, therefore make sure that you book your accommodation close to one of the MRT stations. A single journey ticket will cost between 1,40 - 2,50 SGD depending on the journey's length. You can also buy a tourist pass with unlimited travel for 1, 2 or 3 days for 10, 16 or 20 SGD. You can use the same MRT to get from the airport to the city centre and the journey is 30 minutes long. More details can be found here. 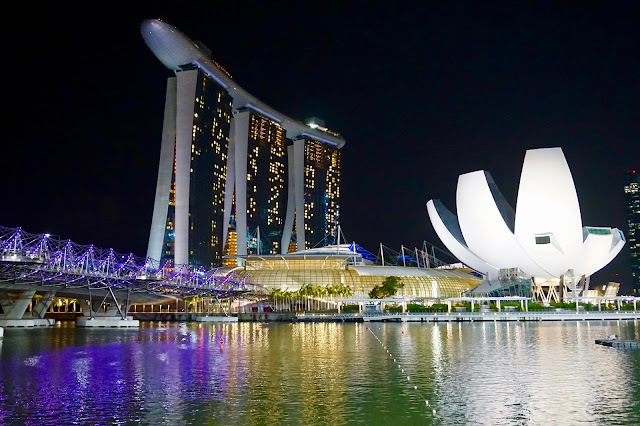 We stayed at Hotel G Singapore and we chose it mainly due to its proximity to the MRT and a walking distance to Bugis Junction, a busy hub with shopping malls and a large variety of restaurants. Marina Bay and the city centre were just 30 minutes walk away. All in all this hotel offered a good value for money. By far this represents one of the iconic sites in Singapore and without a doubt is one of the most amazing places I have ever seen. 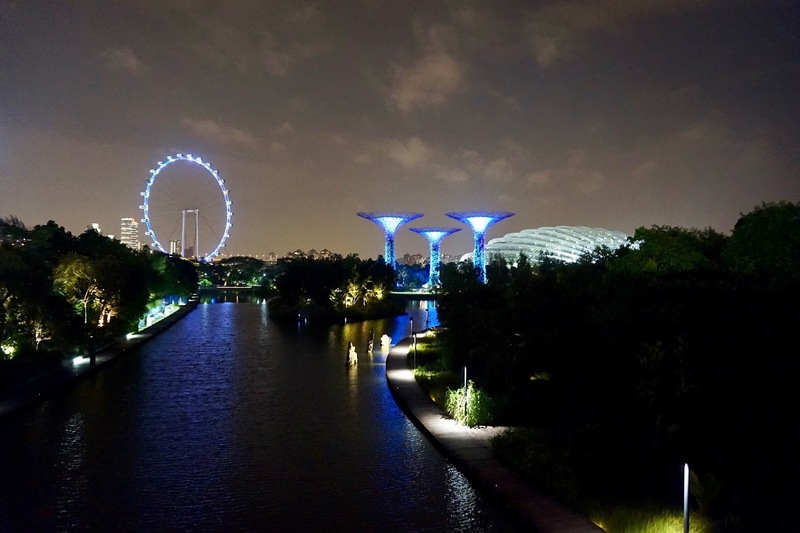 This incredible nature park spans over 101 hectares and it consists of three gardens: Bay South, East and Central, the largest of the three being the Bay South Garden. This also holds the two conservatories: The Cloud Forest and the Flower Dome. There is a free entrance for the gardens, but to visit the conservatories there is a fee of 28 SGD (Singapore Dollars). 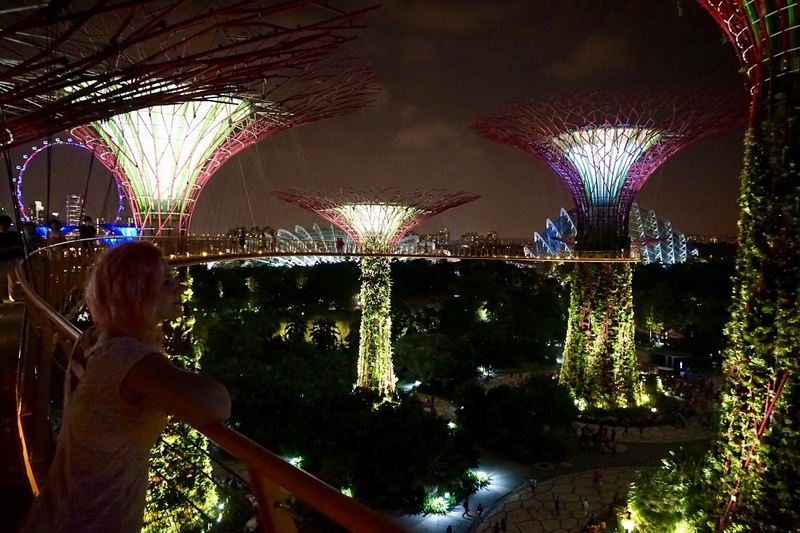 The main attraction of these gardens are by far the Supertrees, which are man made tree like structures high up to 50 meters that at night light up in many bright colors. 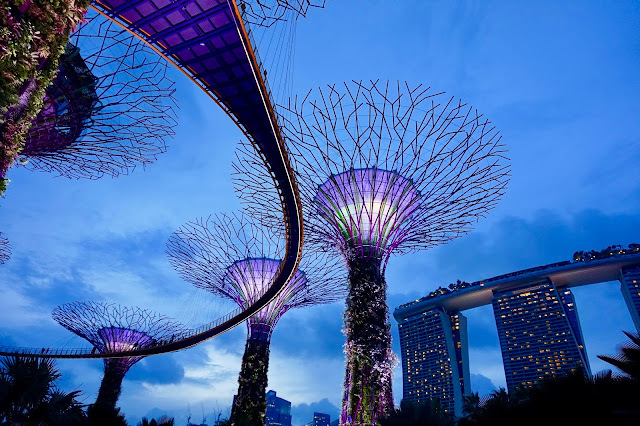 The OCBC Skyway is an elevated walkway between two of the biggest supertrees that offer a great panoramic view of the gardens and Singapore as well. One ticket for the Skyway is 8 SGD. 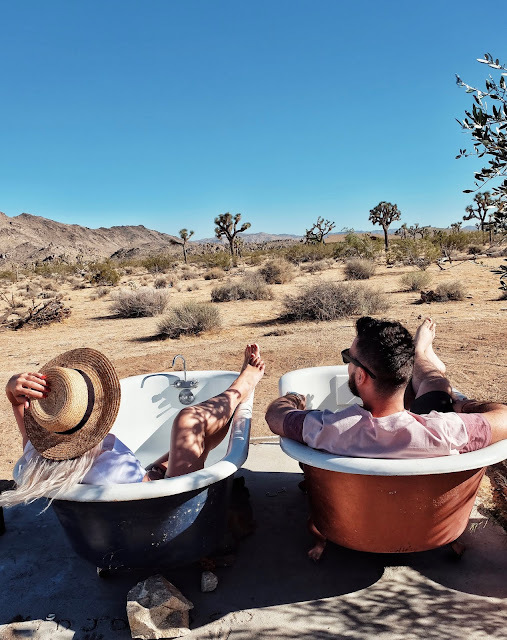 Do you have a happy place? You know...the kind where your mind wonders from time to time. 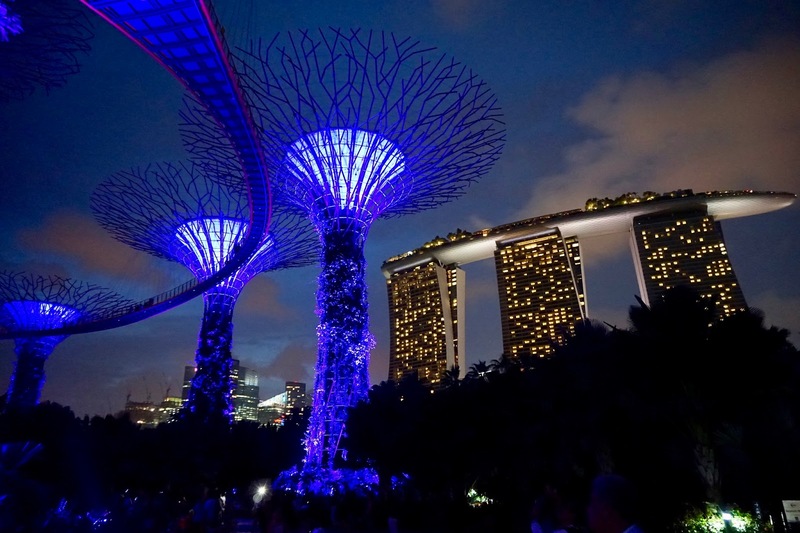 Well one of mine is for sure Gardens by the Bay during Garden Rhapsody. I cannot express with words how beautiful this place is at night! 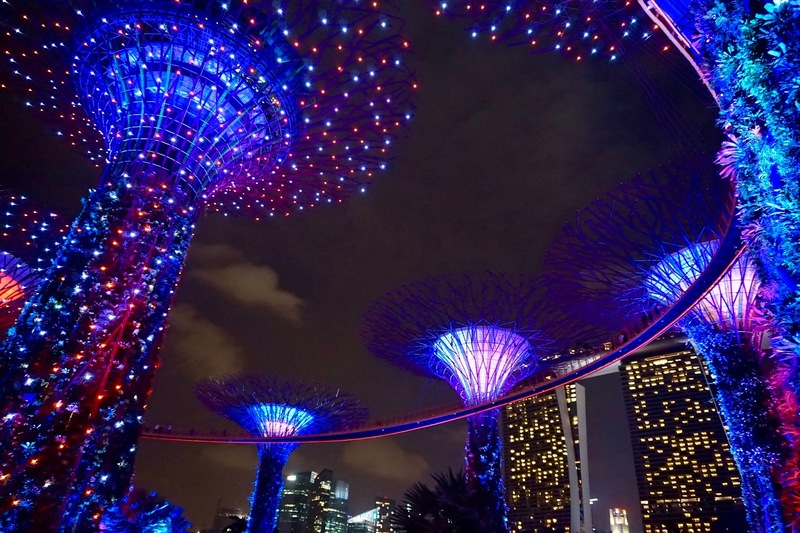 Imagine listening to the most peaceful rhapsody while these magnificent super trees light up in many colors that dance to the rhythm of the song. Located in the central area of Singapore, this bay is the perfect place to take a stroll at night as it will amaze you with some of the most impressive structures in Singapore. Besides the renowned Marina Bay Sands, you can also see the Arts and Science museum, take a glimpse of the Downtown Core skyline and walk on the delightfully lit Helix Bridge. 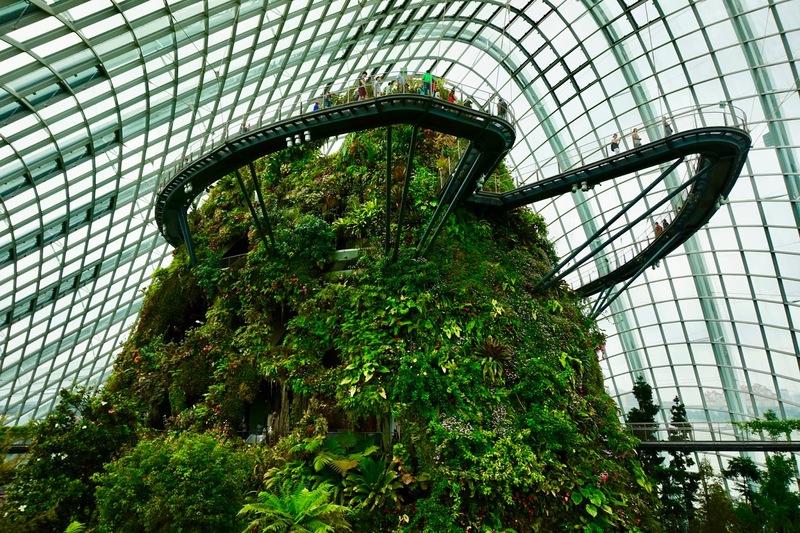 My second favorite place in Singapore, after Gardens by the bay, is definitely this. 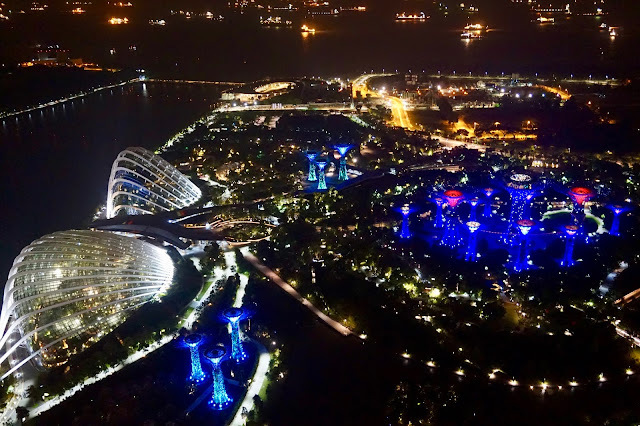 A 23 SGD ticket will get you up to the 57th floor of Marina Bay Sands from where you will be left breathless by the most incredible view. I would recommend going up at night to enjoy the light show that the city has to offer. This financial quarter of the city is where you will find some of the most impressive buildings and skyscrapers in Singapore. Even though it is very close to Downtown core, this neighbourhood couldn't be more different. 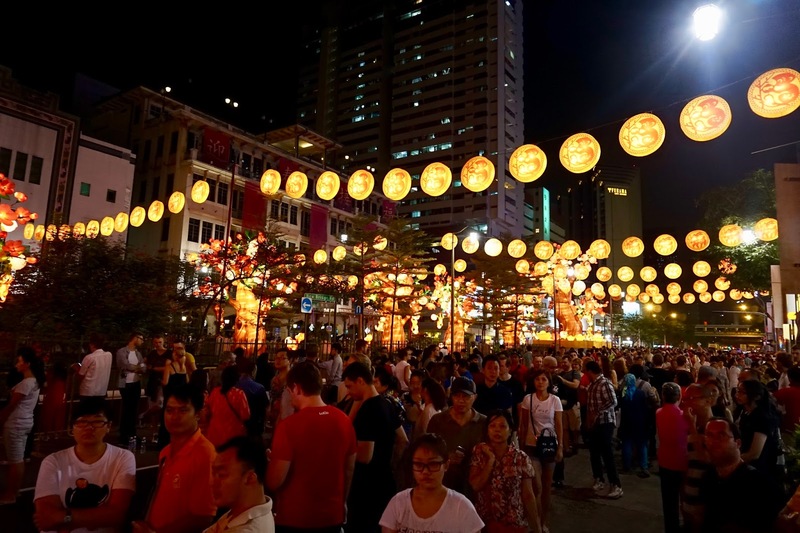 It is the traditional and old part of the town where you will find the best street food and a very busy nightlife. 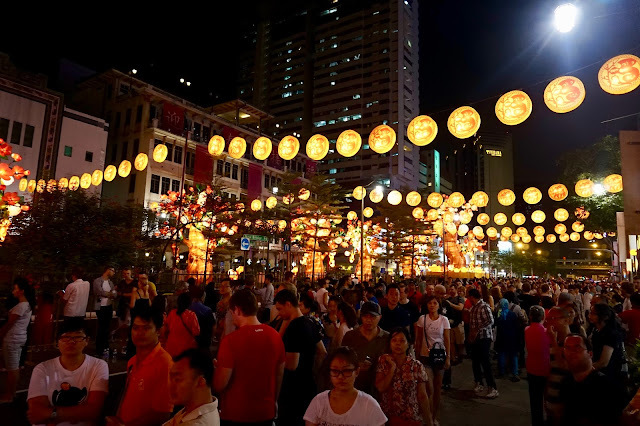 We were fortunate enough to be there during the Chinese New Year and we got to witness their traditional festivities. Food wise you must try Bak Kwa (Chinese meat jerky), although a tad expensive it was one of the best things I ate while there. Tucked away in this urban jungle you will find an oasis at the Botanic Gardens. 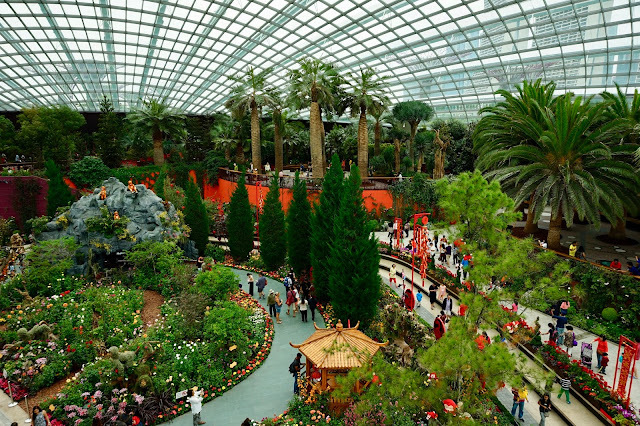 The entrance is free, however there is a fee of 5 SGD to enter the National Orchid Garden. This is not a very popular place for tourists, but you will get to mingle with the locals. 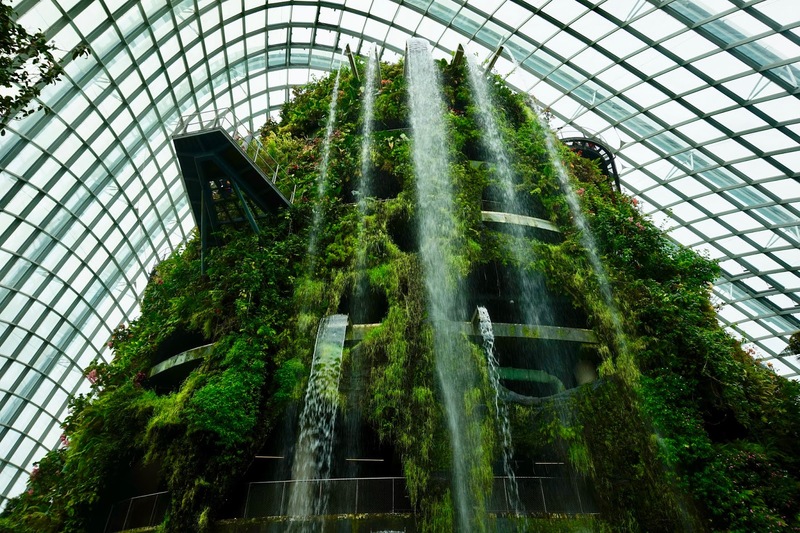 If you have only a short time in Singapore, you could skip this as after all it is just a regular botanic garden and there are far better places to see in this city. This is the main shopping street in the city, home to all the high ends brands as well as some local boutique shops. Basically there is a little something for everyone. This hawker centre is located in Chinatown and is the perfect place for you to try a variety of local dishes. It is basically a more organised food market with good and cheap food. The place doesn't look much but it is definitely famous with not only tourists but locals as well. 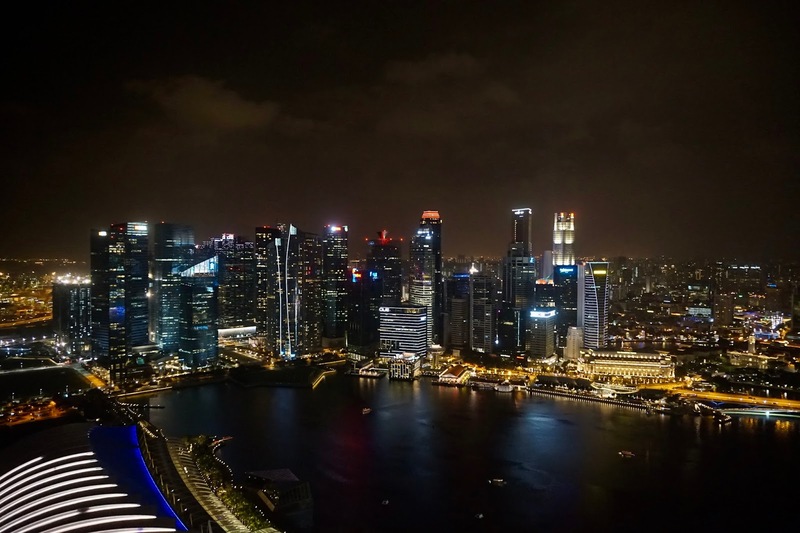 Singapore is a lovely city and at night it is absolutely amazing! Hope that I inspired your next travel destination!